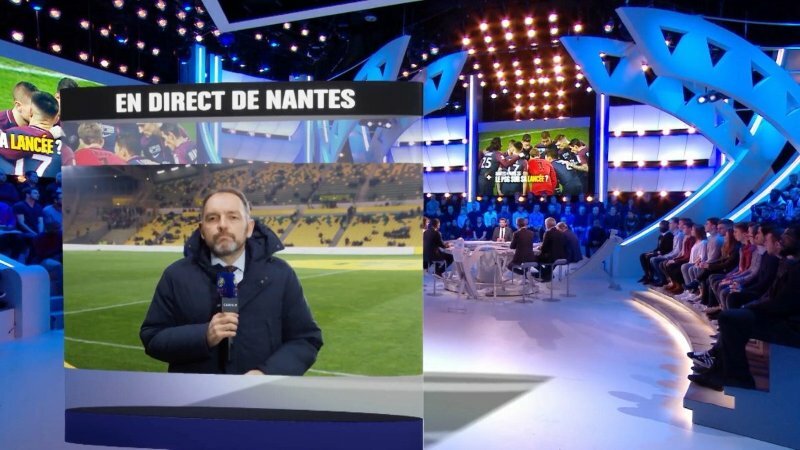 Canal Football Club, a popular football (North American soccer) show that airs on France’s Canal+ channel has begun leveraging augmented reality technology to showcase a variety of storytelling enhancements. 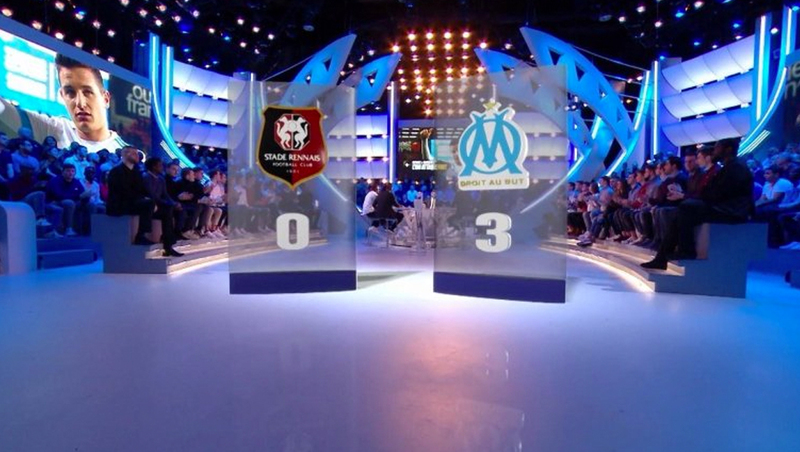 Inside of the network’s stadium-like studio environment, the show inserts floating graphics, often complete with shadowing, on the floor of the space. 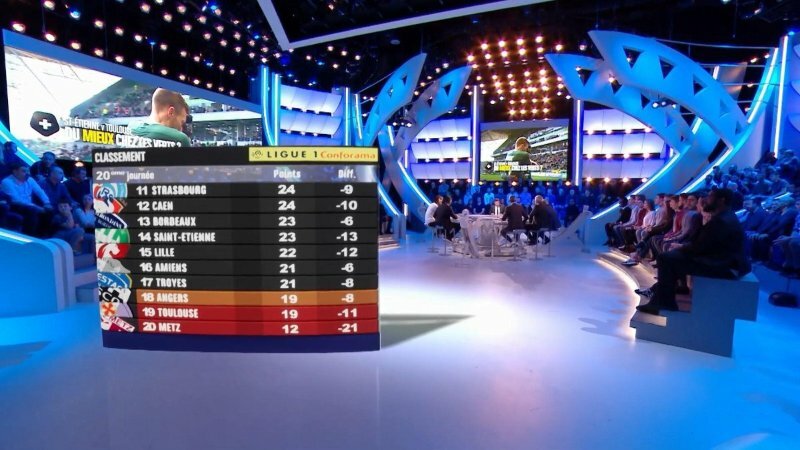 For example, a stats board in a relatively traditional layout appears to be “standing” on the floor, with the audience visible in the background. The data-driven augmented reality graphics are powered by Zero Density’s Reality virtual studio solution using Unreal Engine to provide the rendering. The project was implemented by Dreamwall. 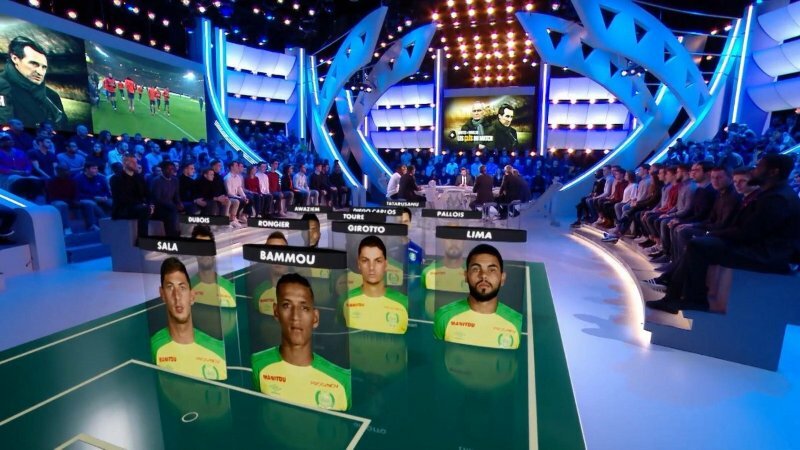 A larger scale implementation features a virtual football field added to the studio floor with digitally inserted vertical headshots of players. Instead of trying to make disembodied heads “standing” in the middle of the studio, the implementation opts to enclose the imagery in a glasslike box with black name header. In some ways, this channels the idea of a baseball card. The broadcast also notably uses augmented reality “cards” as a way to toss to field reporters or bring them into the in-studio conversations.